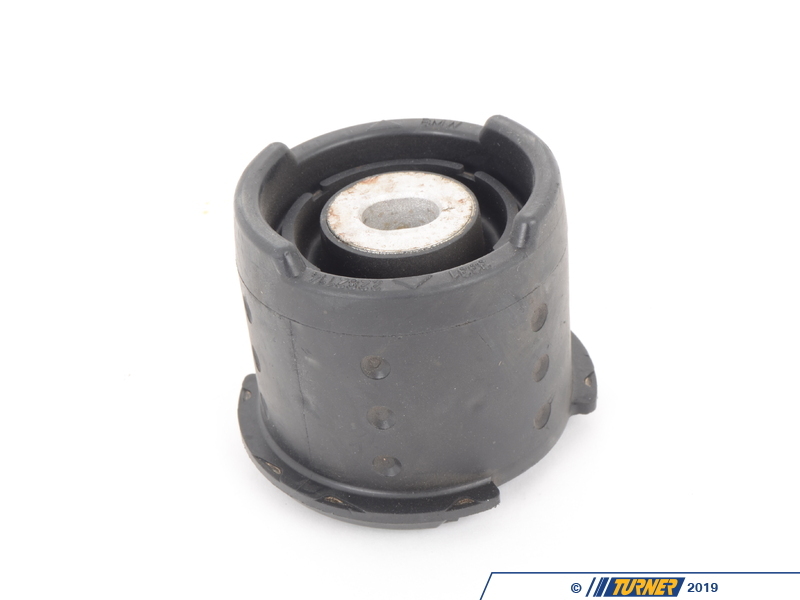 Any subframe work or reinforcement project on the rear of the E46 M3 should include a new set of subframe mounts. 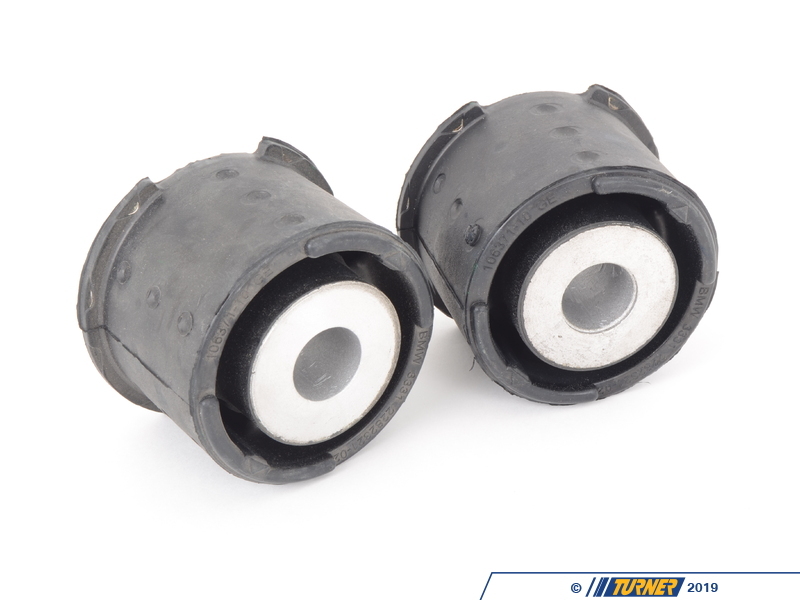 It's the worn rubber bushings that contribute to failed rear subframes on the E46 (but not the only reason). 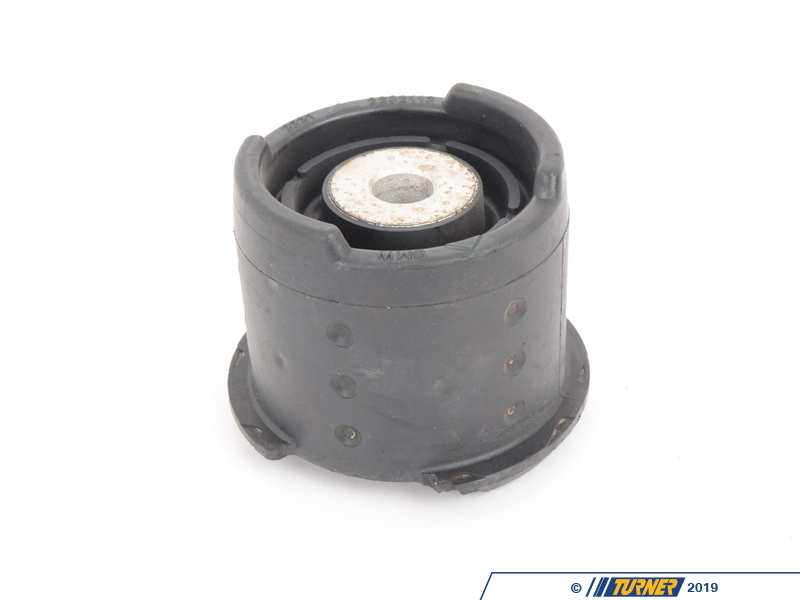 As the rubber gets worn, there is more flex to the mount. This flexing is then transferred to the sheetmetal in the floor where the spot welds will pop and the sheetmetal will crack. Additional force coming from stiffer suspensions and stickier tires will only increase the flexing of the mounts/chassis. 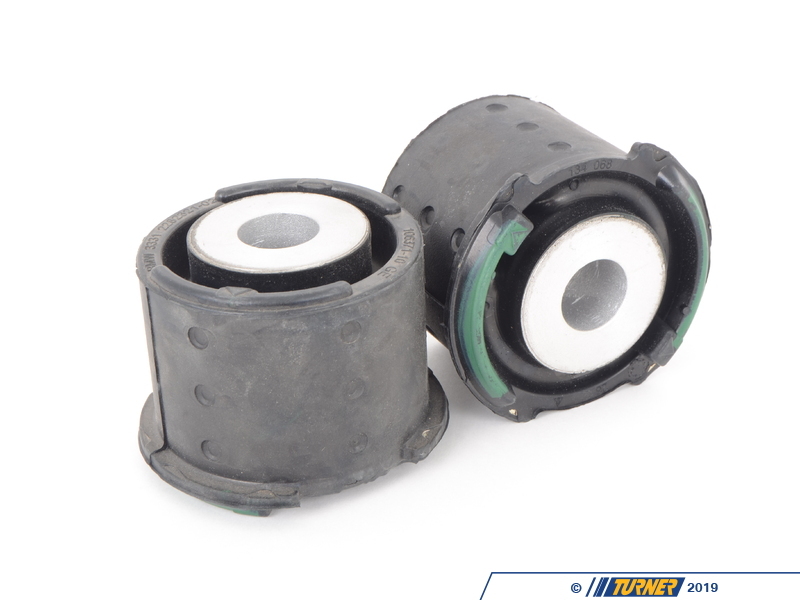 Of course, stiffer mounts would help prevent this problem but with a stiffer bushing comes ride harshness, vibration, and additional noise. 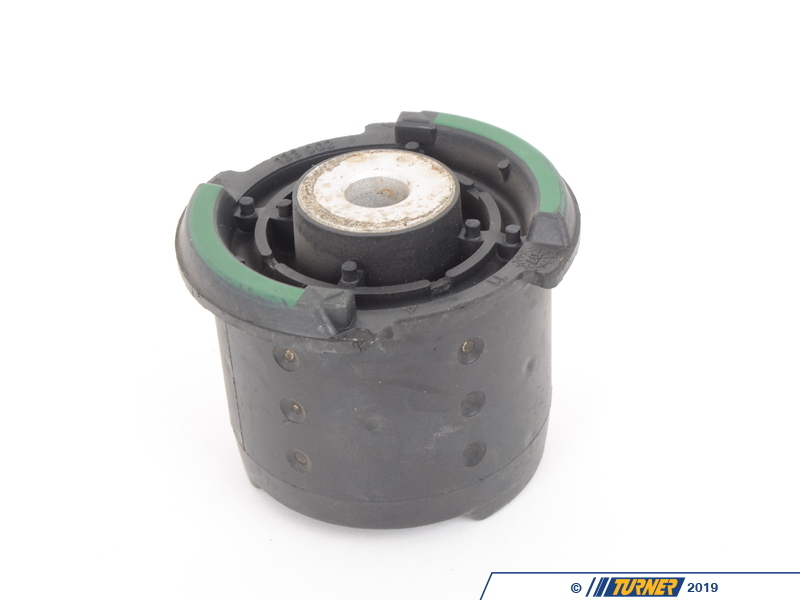 Our engineers and technicians recommend replacement with the factory rubber bushings (along with the appropriate reinforcement of the floor). 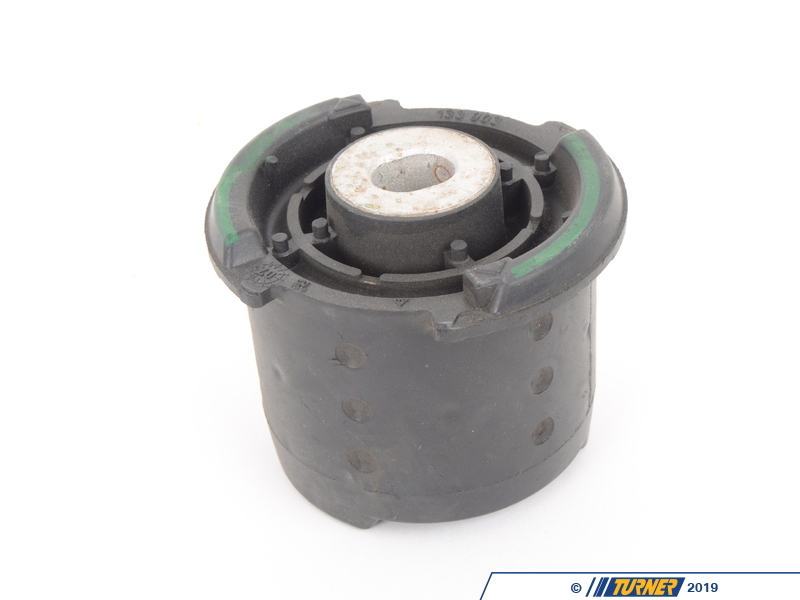 The rubber bushings help isolate bumps and impacts and are quiet. 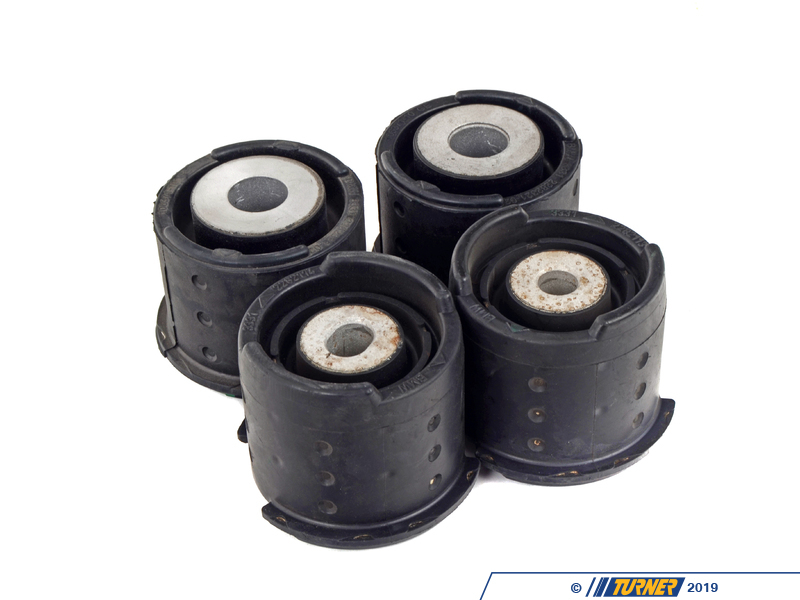 They are also a perfect fitment and require no maintenance. 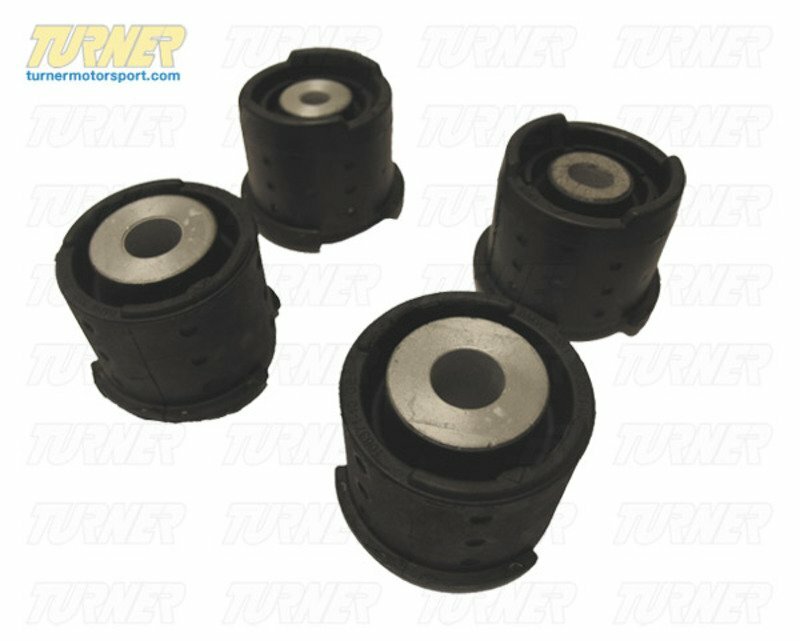 This item is a set of 4 Original BMW rubber subframe mounts. Individual part numbers - 33 31 2 283 573 (left front), 33 31 2 283 574 (right front), and 33 31 2 283 419 (left and right rear, x 2).